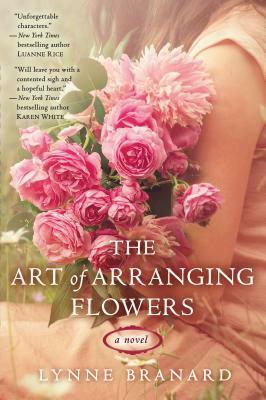 This is the story of Ruby Jewell and her life as a middle aged florist in a small town in Washington State. When I picked up this book, I thought it might try to be like The Language of Flowers, which I absolutely loved. There are some similarities, but these are different books. Ruby has a life she enjoys. She owns her own flower shop, and knows the people in her town very well. She remembers birthdays, anniversaries, and other special occasions, sometimes before her customers do. She knows preferences, and has an uncanny ability to fill an arrangement with exactly the right flowers for each occasion- which will bring romance, peace, fidelity, strength, healing. The only thing it seems Ruby in clueless about is her own life, and her loneliness. What a wonderful book this was, and how enjoyable to see not only all the lives that Ruby has touched, but to also see her begin her own life again. The writing is beautiful and lyrical, and I would definitely recommend this book.